Chloe Noel Boot Covers are made with the same fabric as their classic skate pants. 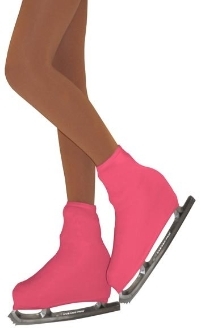 It can stretch 1.5 times in length and width, allowing a tight hold on the skating boots for better protection. The fabric is Dry-Wick treated. Choose your colors. Colors match ChloeNoel products.